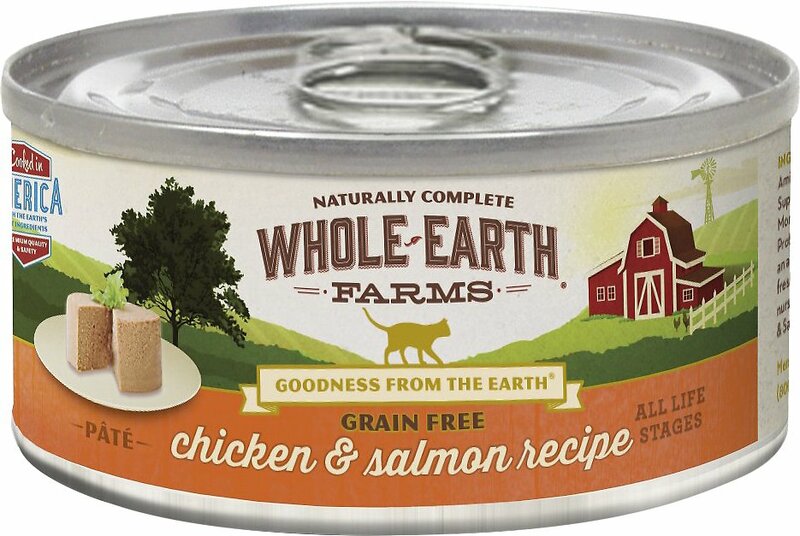 Every can of Whole Earth Farms Grain-Free Real Chicken & Salmon Pate Recipe Canned Cat Food is made with high-quality, protein-rich chicken and salmon. It’s a savory grain-free recipe brimming with wholesome USA sourced ingredients like nourishing chicken liver and eggs, plus healthful vitamins and minerals. It’s a delicious and healthful meal that’s nutritionally balanced for all breeds and life stages. Made with high-quality, protein-rich chicken and salmon cooked in America with the earth’s best ingredients. Savory grain-free recipe brimming with wholesome USA-sourced ingredients like nourishing chicken liver and eggs. Naturally nutritious and made with high-quality protein as the first ingredient. 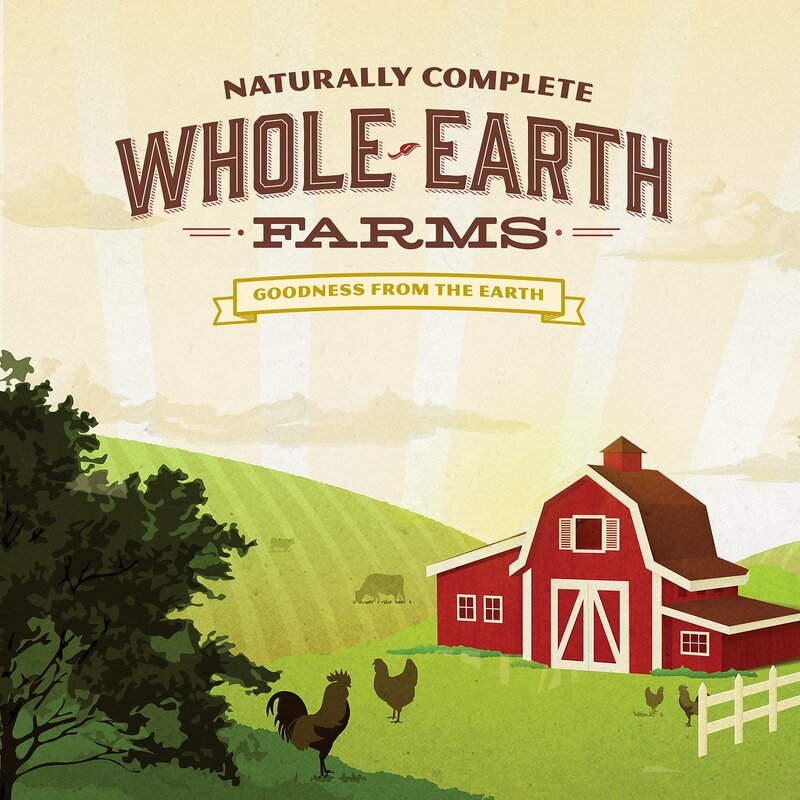 What is Whole Earth Farms? Where do I find my Lot Number? Lot codes and best by dates on our food are stamped on the back of the package or the bottom of the cans. The first line will reflect the best by date. Are any Whole Earth Farms products currently being recalled? No. None of Whole Earth Farms’ recipes are being recalled. Where are Whole Earth Farms recipes made? 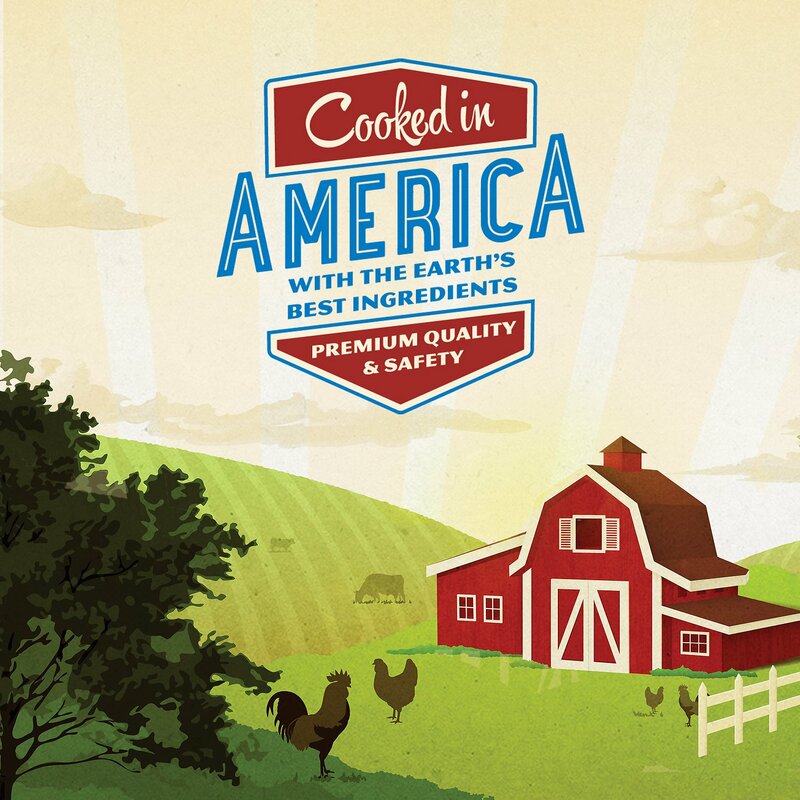 Our Whole Earth Farms recipes are cooked here in the USA, where we have strict controls in place to make sure our recipes meet the highest quality and safety standards. Do you need to supplement Whole Earth Farms with additional vitamins? What kinds of ingredients make up your Whole Earth Farms recipes? 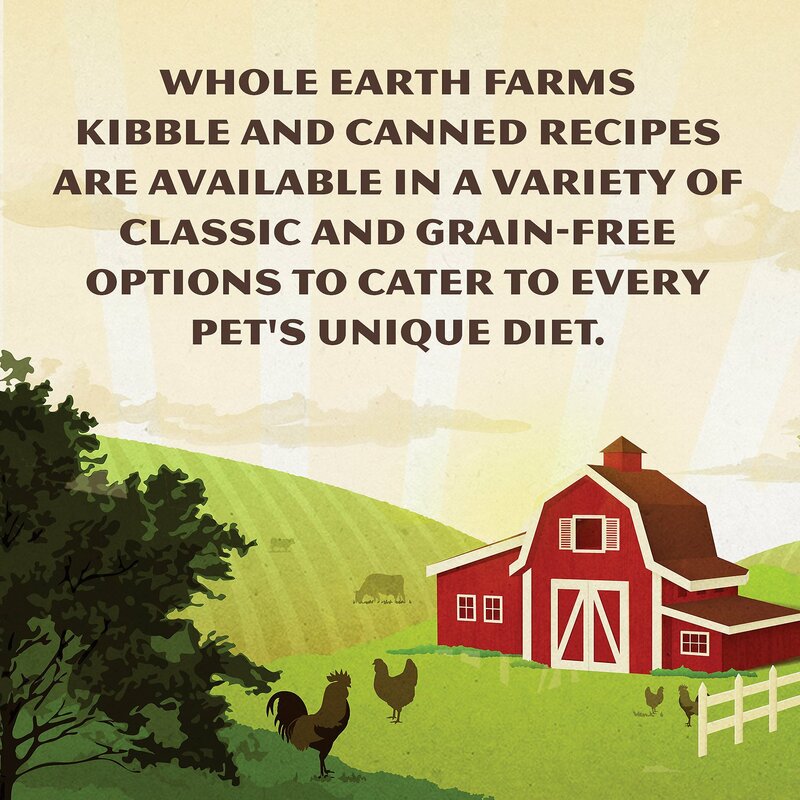 Does Whole Earth Farms have any Grain Free recipes? Yes, we have 2 Grain Free dry food recipes. And, now ALL of our canned recipes are grain free (seven flavors total). 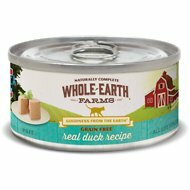 My cat used to love Whole Earth brand canned pate’ flavors and ate them for years. Started to go downhill with a bad batch of rancid beef (which they generously sent me a certificate for a reimbursement but then I never got reimbursed!). Then she refused to eat the duck. She never really cared for any of their poultry flavors but I could sometimes hide them mixed in with some of the others she liked. More and more of it these days finds it’s way in the trash than in her stomach. This last salmon case was the last straw. I don’t know what they’ve done to their recipes ... maybe it’s my cat? Either way, I think my family and Whole Earth is going to have to part ways. When the Chewy site notified me that their kitten whole earth was out of stock, I figured I would try an adult version for my nearly one year old cat. I tried the chicken and salmon recipe and the duck flavor, and he strongly prefers this one to the duck flavor. I'll definitely buy it again! As always, the whole-earth food quality is excellent and they provide a good quantity per can. 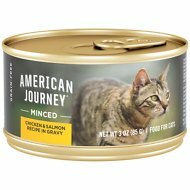 I also sincerely appreciate that they shipped these separately since I was just about to run out of food for my cat and one of the flavors was available for shipping almost immediately where the other one took 2 days. My cat was very happy. Thanks!! My 3 cats loved this well-priced, high-quality, grain-free food so I will add into the rotation. The chicken/salmon flavor was the fav. 9 out of 12 of our cats liked this variety. Hard to get all of the food out of the cans - really sticks to the cans. Over all, 4 paws up and will buy again. I have 4 male kitties and they all love this! I wish they had it in a 24 count variety pack. My little Prince loves this! He's had stress UTIs and hairball issues in the past and this product, along with Science Diet Hairball control, there hasn't been any issues. His coat is beautiful, he's energetic, and has no problem eating this food. Definitely will continue buying. It is good food and my cat loves it. I am not happy with this order. When the package arrived, the package is not packed well and some cans got broken and with food leaking out . They really like this food as well as the beef. I try to keep both on hand but wish it was less expensive. One of my cats loved this flavor, and the other one wanted nothing to do with it. My cat Donkey just gobbles this stuff up. I have tried a few other flavors but this seems to be the one she loves the most.